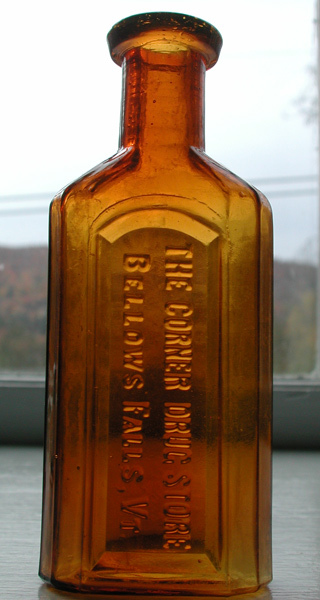 Description: Colored Vermont medicines are few and far between. 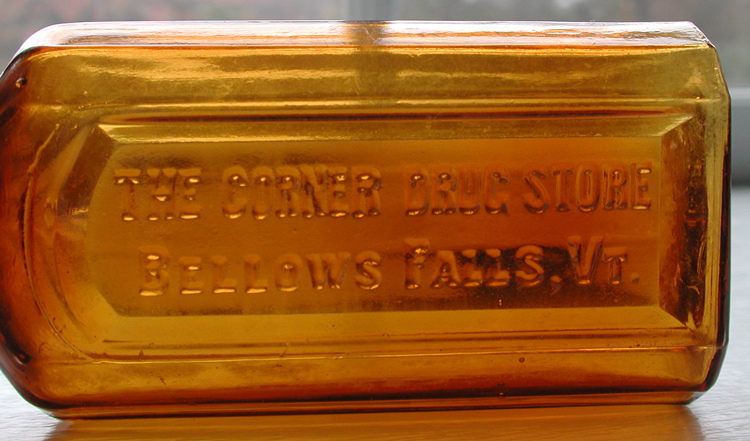 This early Rutland medicine exhibits nice yellow-amber tones. Generally oval with 12 flattened panels, smooth base. Embossed within deeply sunken panel. 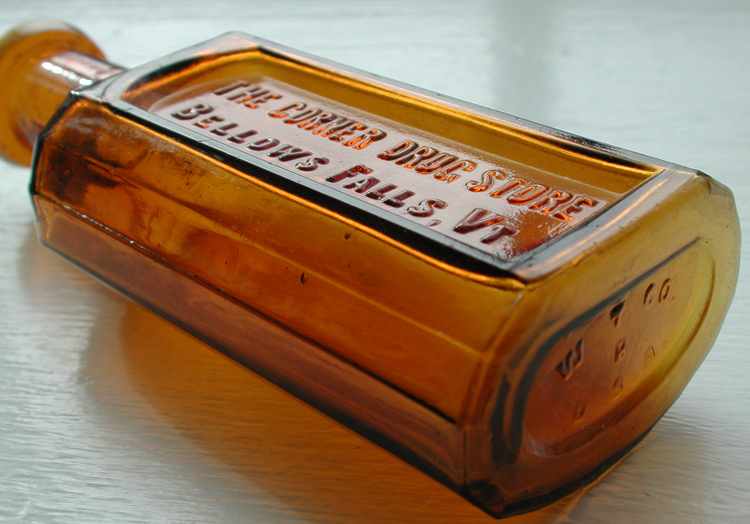 Color: Amber with yellow tones. Condition: Excellent, some light spotty haze .